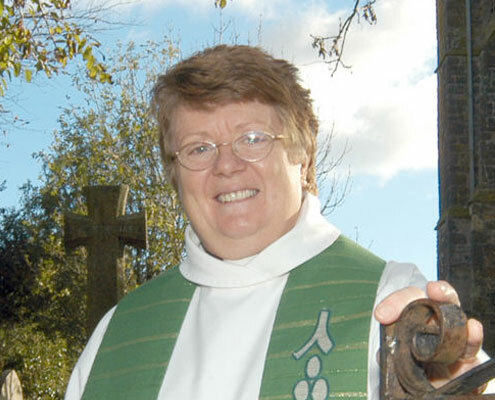 On the 31st of October Reverend Hilary retires after 13 years in the parish . A afternoon tea party is being held in Summercourt Memorial Hall from 2.30pm till 5pm on Saturday 27th of October . Please bring a plate of food if possible . Everyone is welcome .. Thank you for your reply . Looking forward to you both joining us . Thank you to everyone who attended Revrd Hilary’s retirement party on Saturday. There was a lively buzz of conversation and heartfelt thanks to her for being with us over the past thirteen years sharing all our joys and sorrows. Good wishes for her future were given along with a collective gift of jewellery and roses to plant in her garden entitled Rock’n’roll and Super Trooper along with a garden voucher and many other personal gifts and cards. Isabelle made her a beautiful cake decorated with her amusing take on retirement! We all indeed hope Hilary will enjoy her future time with her family and planning her garden with her husband Bob.